First performed on stage in Brentwood, Tennessee in 2006, this Viewsical chronicled Jesus' life and ministry as He battled Satan and the pharisees of the day. This project is so powerful that every year people traveled from all over the country to see this work performed live. 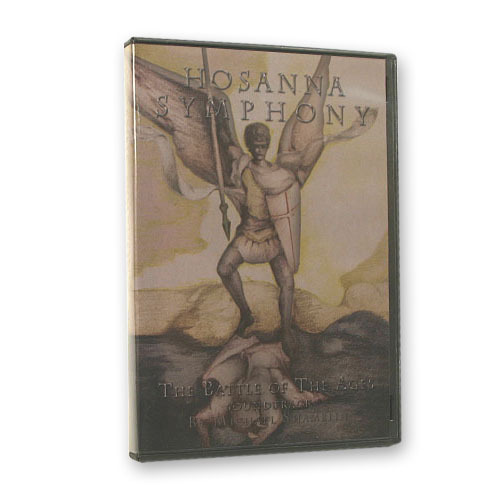 The box set is divided in to Act I and Act II and has 30 Tracks including: "I Hang Out on Steeples" "The Angels' Lullaby" "Stain-Glass Eyes" "Look to The Skies" "Christianity 2000 AD" and the "Hosanna Finale". If you have never heard "Only God Must Reign Alone" or others, you must add this to your collection. God did an amazing work through Michael Shamblin, Gwen Shamblin and the musicians- come and see what He has done! !